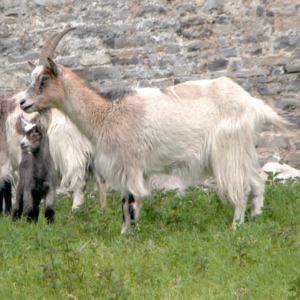 The Old Irish Goat Society was originally formed on the Burren in Co. Clare in 2006, but efforts to save any Old Irish goats in the feral herds in that region were not successful. 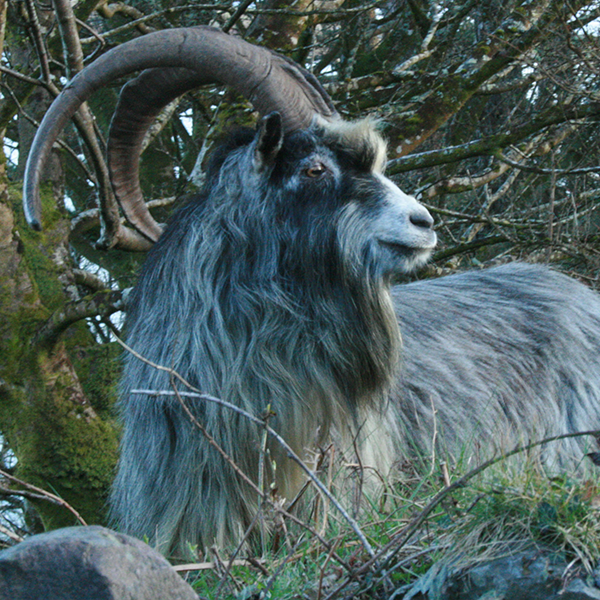 In 2012, the society was reactivated when Old Irish Goats were found amongst the feral goat herd on the hill behind Mulranny village. They immediately went to work to study the goats with the help of Ray Werner, a London based expert on Old Irish goats. They set up a captive breeding program, conducted several DNA studies and with the help of the media, made it known that Ireland’s only indigenous goat had been found and was on the brink of extinction. Ray Werner, one of the foremost experts on Old Irish and English goats. 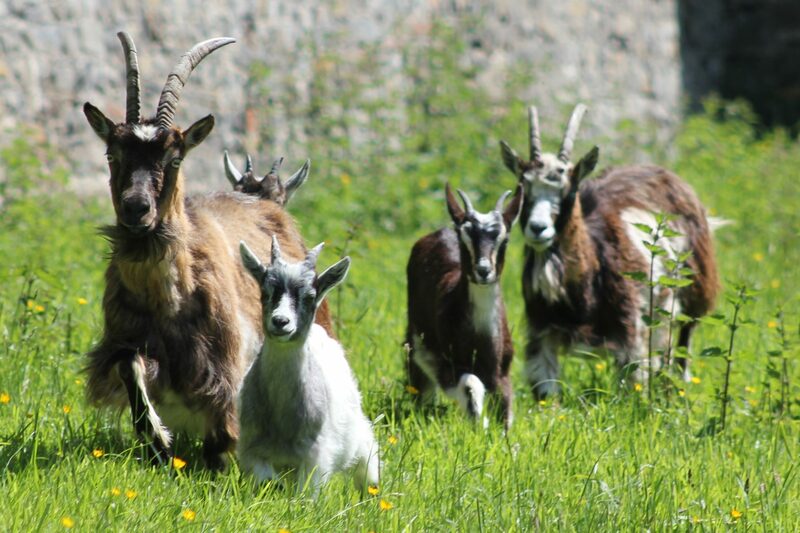 In 2014 a few of the goats were taken off the mountain and the National Herd Breeding Program was established. Science was required to prove the goats’s uniqueness through DNA studies. This was accomplished by first obtaining samples from the oldest examples of taxidermy specimens in museums and private houses and then next from live goats. Finally comparison studies with other goat breeds was done. This work has now been completed and the results clearly show that the Old Irish Goat in Mulranny is indeed a distinct Irish breed. Efforts to survey the Republic of Ireland and Northern Ireland for any remaining Old Irish type was undertaken but the results were generally not encouraging. Focus on the Mulranny herd has remained central along with work in South Armagh where fine examples of Old Irish type roam the hills in that area. Although the breeding program is not open to the public (except on special occasions) the Society established a visitors centre in Mulranny where information, exhibits, a documentary film and gift shop is available. Planning is underway for an Old Irish Goat Sanctuary in Mulranny. It will be a place where visitors can see this fine animal and learn about the role it has played in Irish heritage and the promise it holds for the future. 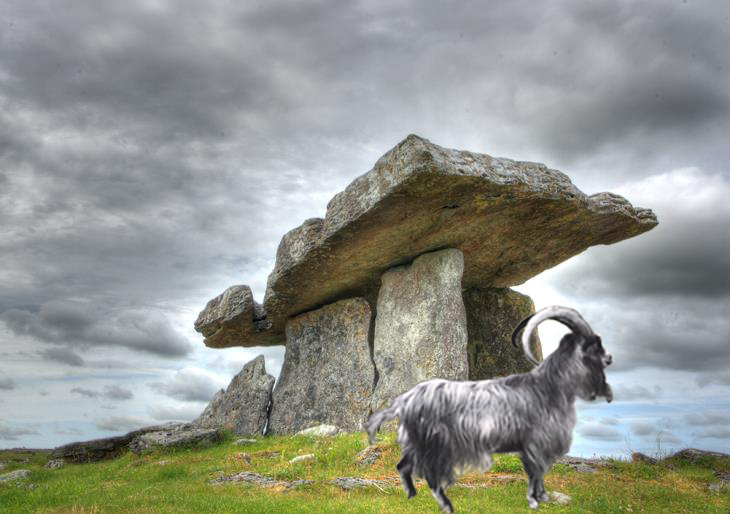 The Old Irish Goat, with its origins dating back to the Céide Fields in county Mayo, Poulnabrone Portal Dolman in the Burren and the Megalithic Chamber Tomb, Bru na Bóinne in county Meath, is an unrealised local, national and international heritage /cultural asset. With distinctive traits, 12 colour patterns, and an ancient appearance, it has the potential to become a tourism icon of Mayo and Ireland. It can add value to a UNESCO World Heritage Site as a cultural asset, and become an eco-friendly alternative to herbicide based invasive species control. It can also provide milk and dairy products as well as a meat source from challenging farm land scrub. The decline of the Old Irish Goat is set against a backdrop of rural economic decline, decline in traditional hill farming and a degrading uplands environment. 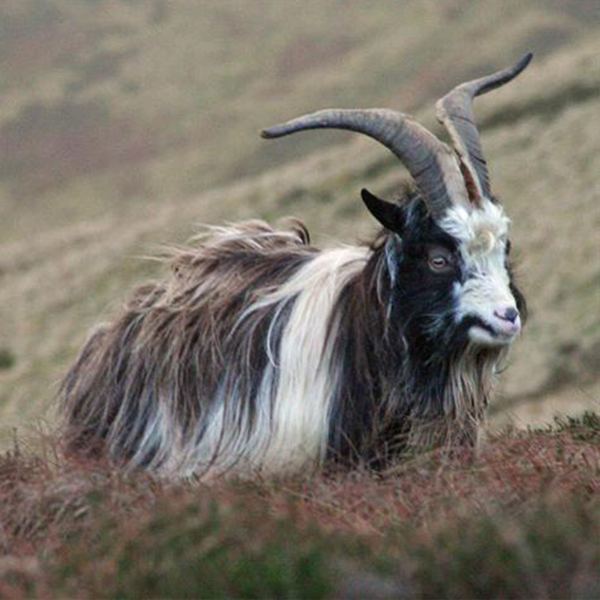 The plight of the Old Irish Goat is a symptom of a wider lack of conservation for Irish Rare Breeds. 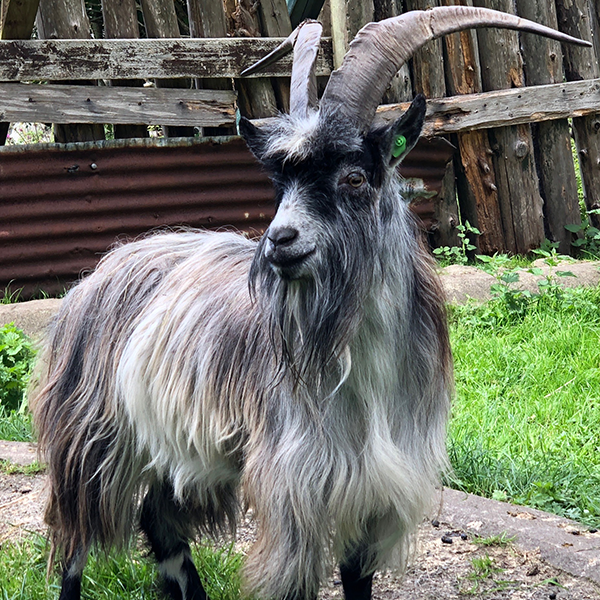 So in 2015 OIGS (Old Irish Goat Society) joined the Irish Rare Breeds Society to work with other rare breed societies and the government to develop an integrated policy. 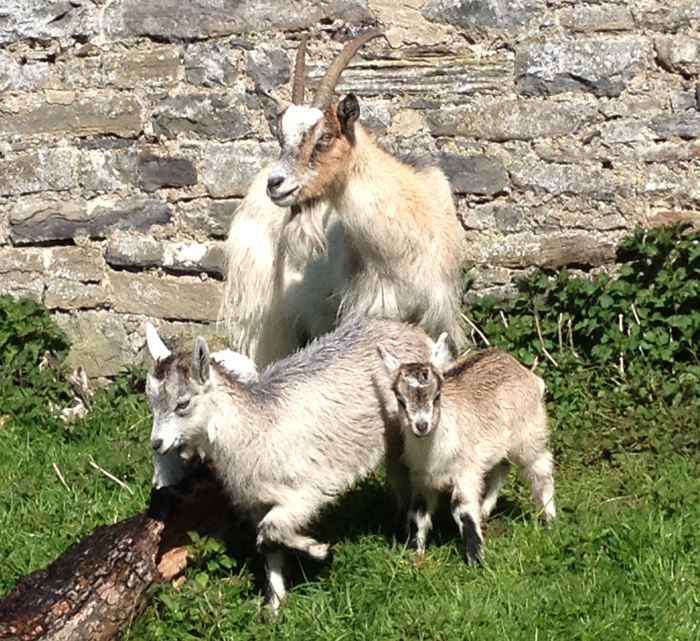 The Irish Rare Breeds Society is now also based in Mulranny with the Old Irish Goat Society taking a lead role. The inaugural Irish Rare Breeds Conference was organised by OIGS in 2017 and annually held in May. The aim of the conference is to promote the conservation and utilisation of our remaining rare breeds and to address challenges such as lack of protection, resources and recognition. Protecting the feral groups around Ireland by raising awareness of the OIG and its cultural heritage, is proving difficult when there are no laws protecting feral animals in Ireland and indiscriminate culling continues to occur. In addition, uncontrolled cross breeding is considered one of the greatest threats to landrace breeds worldwide. Of the 19 goat breeds extinctions worldwide, 15 have occurred in Europe. That process has reached the final stages for the Old Irish Goat. 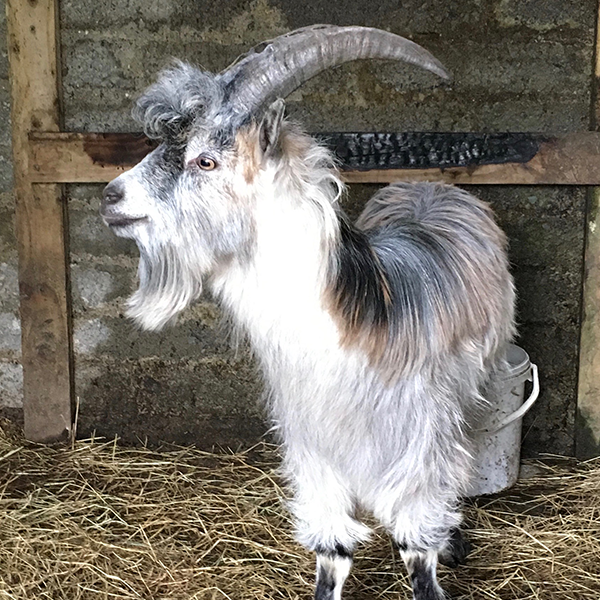 Except for the small group saved to the National Herd Breeding Program, Ireland is about to lose a distinct native Irish breed to a generalised mixture of goat. The Old Irish Goat, possibly Ireland’s oldest livestock breed, is part of a cohort of traditional breeds (cattle, sheep, goat, pig, poultry, horse and pony) that are a fundamental component of our rural farming and pastoral heritage. Some breeds pre-date our Celtic origins while others are linked to historical events such as the Viking invasions. Culturally they are in many respects as important to us as a nation as our language, our dance, our poetry and prose, appearing in the prominent Irish tale, the “Táin Bó Cúailnge” or the Cattle Raid of Cooley. These animals have shared the bye-roads and boreens of Ireland with us for generations, they have been shaped by the Irish landscape and her farmers, going back to the very beginnings of Irish pastoral history. They are as ancient as historic monuments. They have served as the High King’s most valuable possession, the farmer’s dowry and the common currency. Plans are underway to establish a conservation grazing program using a Heritage Herd of Old Irish Goats. 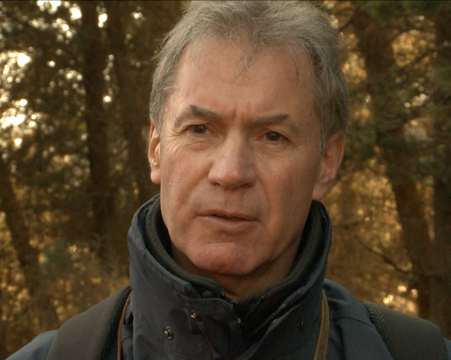 Grazing is imperative for the conservation of vast majorities of heathland habitats. Hardy, traditional breeds are being increasingly utilised over machinery. The Old Irish goat has the ability to control the accumulation of gorse, especially after fires and due to their skillful grazing behaviour and efficient digestive systems, adapt to feeding on harsher environments with low nutritive quality heathlands. They effectively offer a more economical and sustainable solution to managing the landscape.